Strong winter winds blow trees over but there is one more factor that needs to be put into the equation – and that is how much and what kind of structural damage the tree has been subject to. Structural defects can cause an entire tree to weaken or only the branches. Nonetheless, the tree is in a position to cause serious damage to life and property. A Board Certified Master Arborist is trained to be able to identify structural damage in trees, by observing factors that go unnoticed by property owners. By having an inspection of your property, you can avoid unnecessary damage to your loved ones and your property. Trees need to be assessed in the following areas to see what kind of structural damage is present and to what degree. 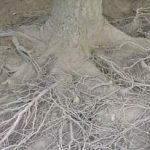 are subject to decay which weakens them, mostly in the root system because this is where the conditions are very moist and are prone to decay. The decay process in trees usually starts from the inside and goes outward. This means a decaying tree can actually be a hollow cavity inside. It needs to be determined if there is enough solid wood on the outside. If mushrooms, conks or brackets are growing around the root flares and branches, it is a sign of advanced decay. Dead or dying trees should be removed from the property. that are a result of structural damage, are a serious threat. A natural lean does not necessarily present a danger because they naturally reinforce themselves with normal growth. If a tree is leaning from a structural defect than it is a safety hazard from wind or snow. There are ways to secure the tree or eliminate hazardous branches. is another cause of structural damage in trees and only a trained professional like a Board Certified Master Arborist can tell if the tree is really being attacked by insects. Holes, cracks, spots and oozing are sometimes overlooked by homeowners when really the tree is already in decline due to the infestation. Often times, when there is infestation, it indicates that root disease is taking place. A careful evaluation needs to be made on all trees. Protect your property from damage by making sure that all trees surrounding your home are not potentially dangerous because of structural damage. 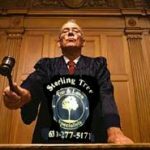 Call Sterling Tree and have a Board Certified Master Arborist inspect your property today.